Despite strong macro-economic data, investors remained cautious ahead of the upcoming decision on the US rate hike, leading to a barometer index of the Indian equities slipping 179 points down during late afternoon trade on Tuesday. Investors were amply cautious ahead of the upcoming decision by the US Fed on raising or otherwise of US interest rates. Even the better-than-expected inflation and modest factory output data, which had cheered investors with hopes of a rate cut by the Reserve Bank of India, did not support buying in the markets. The barometer 30-scrip sensitive index (Sensex) of the Bombay Stock Exchange (BSE) had gained 246.49 points or 0.96 percent on Monday after inflation data points such as wholesale price index (WPI) and consumer price index (CPI) were released. On Tuesday, the wider 50-scrip Nifty of the National Stock Exchange (NSE) fell by 58 points or 0.74 percent at 7,814.15 points. The S&P BSE Sensex, which opened at 25,908.34 points, was trading at 25,678.03 points (at 2.30 p.m.) -- down 178.67 points or 0.69 percent from the previous day's close at 25,856.70 points. 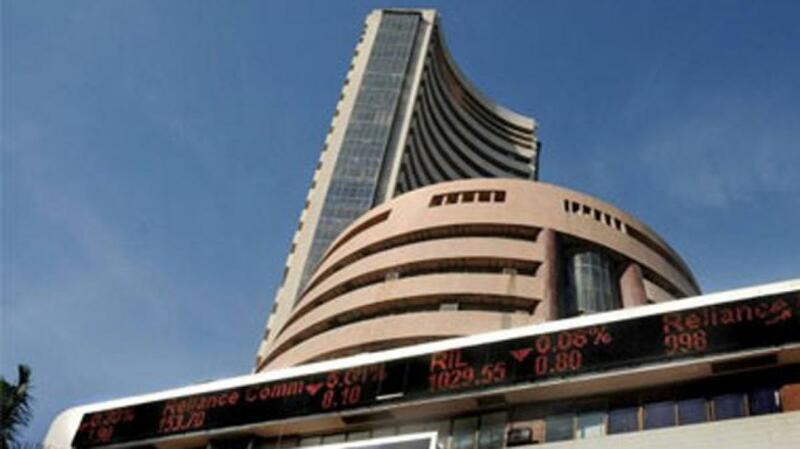 The Sensex touched a high of 25,909.83 points and a low of 25,649.37 points in the intra-day trade so far. Analysts said the investors were chary of chasing higher prices due to the caution over the upcoming US Fed decision on interest rates. "Despite the healthy inflation and factory output data and hopes of a rate cut by the apex bank, investors seemed reluctance to chase prices," Anand James, co-head, technical research desk with Geojit BNP Paribas Financial Services, told IANS. India's annual inflation rate based on wholesale prices continued in the negative territory in August, falling to (-)4.95 percent from (-)4.05 percent in July. India's consumer price inflation for August eased slightly to 3.66 percent from 3.69 percent in July and a staggering 7.03 percent during the like month of last year. India Inc. expects that a better-than-expected WPI and CPI will drastically improve chances of a rate cut during Reserve Bank of India's monetary policy review slated for September 29. "The investors' reluctance to chase higher prices is emanating out of the caution prevailing due to the upcoming US Fed's Federal Open Market Committee (FOMC) meet on September 16-17," James said. The US Fed will decide during the FOMC meet, whether or not to raise interest rates. Sector-wise, only fast moving consumer goods (FMCG) out of the 12 indices managed to stay afloat during the intra-day trade so far. The S&P BSE capital goods index plunged by 308.08 points, automobile index plummeted by 249.46 points, metal index receded by 176.15 points, banking index fell by 165.85 points and consumer durables index was lower by 140.96 points. However, the S&P BSE FMCG index was marginally higher by 24.21 points.